teachers, parents, community members, and public agencies to determine the goals, actions, and budget priorities for the district. Data from the California Dashboard must be used to determine funding priorities, which are based on the State's Eight Priorities. Spanish Explorers is designed to allow students to explore Spanish in a fun and interactive way. The program promotes positive participation, interest in academics, and improved communication skills. 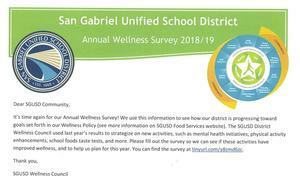 It's time for our annual Wellness Survey! For assistance with accessing available community resources, please read the include Community Resource Guide. A printable version of the guide is available as well. Click on link to view the report. On behalf of our entire school community I want to say congratulations to you and your kids! 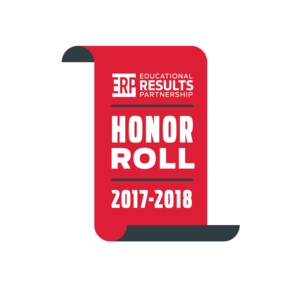 Our school was chosen by Educational Results Partnership (ERP) and the Campaign for Business and Education Excellence (CBEE) as a 2017 California Honor Roll recipient! 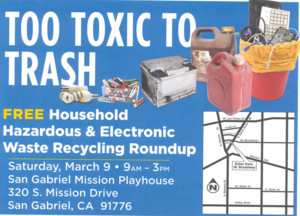 Click on the title above for more information.